GCHQ’s National Cyber Security Centre (NCSC) has seen a 200% increase in CyberFirst course attendance since launching in 2016. 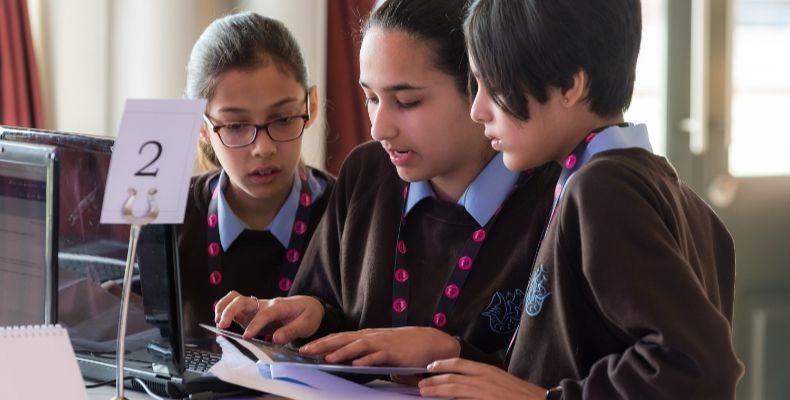 NCSC, which works to develop the UK’s next generation of cyber security professionals, reported the figures as registration for the CyberFirst Girls Competition 2019 comes to a close. In aid of this goal, the CyberFirst Girls Competition was launched in 2016 and will begin its third edition on 21 January. Over the past two years, 12,500 girls in schools across the UK have participated in the competition of problem-solving and code cracking challenges. Although the official attendance numbers for this year have yet to be released, the communications department told Independent Education Today that registration has gone well so far with good take up from independent schools – although their ultimate aim is to become even more diverse in terms of the schools taking part. The competition is aimed at girls aged 12 and 13 in Year 8, S2 or Year 9 (Northern Ireland), with teams able to enter until the first day of the competition. One school getting involved is Haileybury, which hopes to contribute to discovering the next generation of female code breakers, with its lower school 2 (year 8) girls taking part this year. A further 55 pupils (boys and girls) are taking part in another competition put on by GCHQ. As a bonus, the NCSC will be offering the competition entrants 600 free places on specially commissioned all-female CyberFirst Defenders courses in April and May 2019, as reported by the BBC. The chair of the Institute of Coding’s Industry Advisory Board, Sheila Flavell, said of the new classes: “This is a very welcome initiative which will give hundreds of women the opportunity to learn more about a career in the cyber security industry. IE expects to see confirmation of the attendance numbers and competition registrations next week.